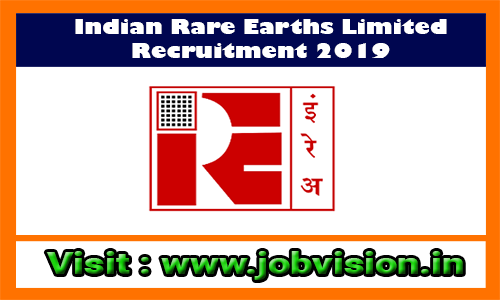 IREL Recruitment 2019 - IREL invites Online applications for recruitment of 20 Management Trainees (MT) Posts. This online facility will be available in the Official website https://www.jobapply.in/IREL/ from 23 Mar 2019 to 12 Apr 2019. Prospective candidates will have to apply online after carefully reading the detailed advertisement regarding the process of examination, eligibility criteria, online registration processes, application fee/ intimation charges, pattern of examination, Syllabus, How to Apply, Question Paper, issuance of admit cards/call letters, Exam Date, Result Date etc. and ensure that they fulfill the stipulated criteria and follow the prescribed processes. 1. Mechanical B.E./B.Tech (Full-Time regular degree only) in (Mechanical/Mining /Electrical/Chemical/Min eral) Engineering from recognized/approved Indian University/Institution with minimum 60 % aggregate marks of all semesters/years. OR 5-year Integrated Master degree in (Mechanical/Mining /Electrical/Chemical/Min eral) Engineering from recognized/approved Indian University/Institution with minimum 60% aggregate marks of all semesters/years Mechanical Engineering/ Mechanical & Industrial Engineering/ Mechanical & Production Engineering/ Production Engineering/ Production Engineering & Management/ Production & Industrial Engineering. 6. Finance Qualified CA/CMA OR B.com (Three years regular full time degree) and MBA (Finance) (Two years regular full time degree) with minimum 60 % marks. IREL may follow the following process to select the candidates. Note: Application fee will be paid through On-line mode i.e. Debit Card/Credit Card/Net Banking etc. Eligible candidates can apply online through the Official website https://www.jobapply.in/IREL/ from 23 Mar 2019 to 12 Apr 2019. Before applying, Candidates should ensure that they fulfill the eligibility criteria as per published in the online advertisement.
" JOBVISION ஆன்ராய்டு செயலியை பதிவிறக்கம் செய்ய "